Doris Bricker Service Details - East Liverpool, Ohio | Dawson Funeral Home, Inc.
East Liverpool, Ohio- Doris Jean Bricker, 86, of Thompson Avenue passed away Tuesday, November 20th, 2018 at 6:36 pm at the East Liverpool City Hospital surrounded by her loving family following a lengthy illness. Born May 11, 1932 at East Liverpool, she was a daughter of the late John D. and Bessie Jane Smith. She was preceded in death by her husband, Harold T. Bricker, whom she married June 27, 1954, on July 18, 2015. A member of the St. John Lutheran Church in East Liverpool, she taught both Bible School and Sunday School, was a member of her husband’s Sunday School Class, belonged to the Women’s Group, and participated in both the church choir and the bell choir. A graduate of Wellsville High School in 1950, she then worked for the Metropolitan Insurance Company. During the following years, she began working side by side every day with her husband to build their family restaurant into Bricker’s Caféteria which is still family owned and operated on East Sixth Street. She leaves behind four daughters, Janice Snyder and her husband, David “Butch” of East Liverpool, Lisa Turrill and her husband, Roger of Laughlintown, Pennsylvania, Sara Bricker of East Liverpool and Ann Dietz and her husband, Dan of East Liverpool. 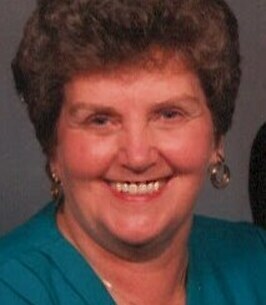 There are six grandchildren who were her pride & joy, Ed Stansbury and his wife, Allison, Greg Bricker and his wife, Katie, Dayna Horvath and her husband, Jonathon, Eric Dietz, Gretchen Dietz and Andrea Dietz; and three great-grandchildren, Alex Stansbury, Nina Stansbury and Brooke Horvath. She was preceded by one brother, Glenn Smith. Friends may visit the family on Sunday from 2:00 to 4:00 and from 6:00 to 8:00 pm at the Dawson Funeral Home in East Liverpool and then one hour prior to the service on Monday at the church. Pastor Eric Edwards of the church will conduct a funeral service at 2:00 pm Monday at the St. John Lutheran Church in East Liverpool. Immediately following the service everyone will gather back at the church for further fellowship and a meal. The family requests that memorial contributions be made to St. John Lutheran Church. 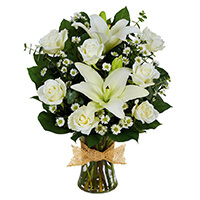 To send flowers to the family of Doris Jean Bricker (Smith), please visit our Heartfelt Sympathies Store. Very sorry for your loss. May the blessings of God be on each of you. Deepest condolences to the family. Doris was my friend.